Checkout the comparison of Xolo Era 4K vs Lenovo Vibe P1m vs Canvas Juice 4G vs Lava Iris Fuel F1, Karbonn Quattro, Panasonic P66 Mega and Micromax Canvas Xpress 4G. 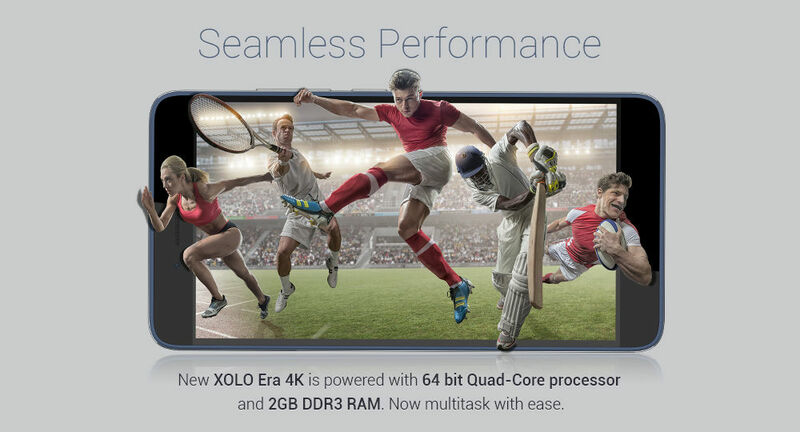 Xolo Era 4K Era 4K is one of the most under-estimated smartphone. Infact it has got the ability to out-throw a number of smartphone within and above the budget of Rs 7000. To make you understand of it, the Xolo Era 4K smartphone here is compared with other smartphones available between Rs 6000 to Rs 9,000. Price of Xolo Era 4K right now is Rs 5999, check the link below if you want to buy it.